A Harvard undergraduate who sued the University alleging it had wrongfully opened an investigation into sexual assault allegations against him has voluntarily dismissed his suit, according to documents filed in federal court Friday. The unnamed male student, first dubbed “John Doe” and later “Jack Doe” in court filings, sued the University last November in the U.S. District Court of Massachusetts for opening an investigation into allegations that he raped a non-Harvard student in an apartment building located hundreds of miles from campus in July 2017. Harvard’s Office for Dispute Resolution — which handles formal complaints of gender and sexual-based harassment — opened its investigation in October 2018, according to the complaint. Doe contended ODR did not have the jurisdiction to investigate an alleged incident that did not involve another Harvard student and did not take place on University property. In arguing that ODR overreached, Doe pointed to University sexual harassment policies that apply only to misconduct perpetrated by Harvard affiliates while on campus or in connection with University-related activities. The policy also covers harassment that may create a “hostile environment” for other Harvard affiliates. Doe, however, is likely also subject to the Faculty of Arts and Sciences’ policies due to his status as a College student. FAS policies and procedures are broader in scope and hold students to the expectation that they behave in a “in a mature and responsible manner” no matter where they are. The University policies do not preclude schools within Harvard from creating and enforcing their own policies, which may be more expansive than the University’s — as is the case with the FAS policies. Doe alleged in his complaint that Harvard had created a reasonable expectation that Doe would earn a degree from the university by allowing him to take classes in exchange for “substantial amounts of money.” The ODR investigation constituted a breach of contract and a breach of covenant of faith and fair dealing, according to the complaint. One possible outcome of an ODR investigation is expulsion. Doe demanded that Harvard halt the investigation, pay him $75,000 in damages, and compensate him for the costs of litigation. On Dec. 19, Harvard moved to dismiss Doe’s complaint on the grounds that Doe’s claim of breach of contract is “directly contradicted by the plain language of the Harvard policies” at question in the suit. The FAS policies state that College's Administrative Board “may” refer cases involving misconduct that falls outside the jurisdiction of the University Policy to the University’s Office for Dispute Resolution. In a joint status report Harvard and Doe filed on Dec. 14th, 2018, Harvard stated that, in a December 2018 hearing, the court “indicated Harvard may investigate and, if appropriate, discipline students who engage in off-campus misconduct.” The status report also states that, at the hearing, the court “expressed concerns” about whether the language of the FAS policies supported the referral of Doe’s case to ODR for an investigation. Though Harvard stood by the validity of the referral to ODR in the report, it conceded that the language of the FAS policy is “permissive” and did not “mandate” that Doe’s case be referred to ODR. Two days after the hearing, Harvard informed Doe that the Ad Board was “prepared to conduct its own investigation into the alleged sexual misconduct at issue,” according to the report. “Harvard has asked Plaintiff to notify Harvard by December 21, 2018, whether he would prefer that the investigation into the alleged misconduct be conducted by the Ad Board or whether he will instead consent to a referral to ODR for that investigation,” the report states. Doe agreed to notify Harvard of his position and proposed both parties be required to submit another joint status report by December 21. In the status report filed on Dec. 21, the two parties wrote that they continued to “meet and confer regarding a potential resolution” and proposed to submit another update by Jan. 4. On Jan. 4, in place of a joint status report, Doe filed a motion to voluntarily dismiss the lawsuit. The lawsuit was terminated Monday, court records state. Harvard spokesperson Rachael Dane wrote in an email that the position on the suit represented in the Dec. 14th report is Harvard’s current position. 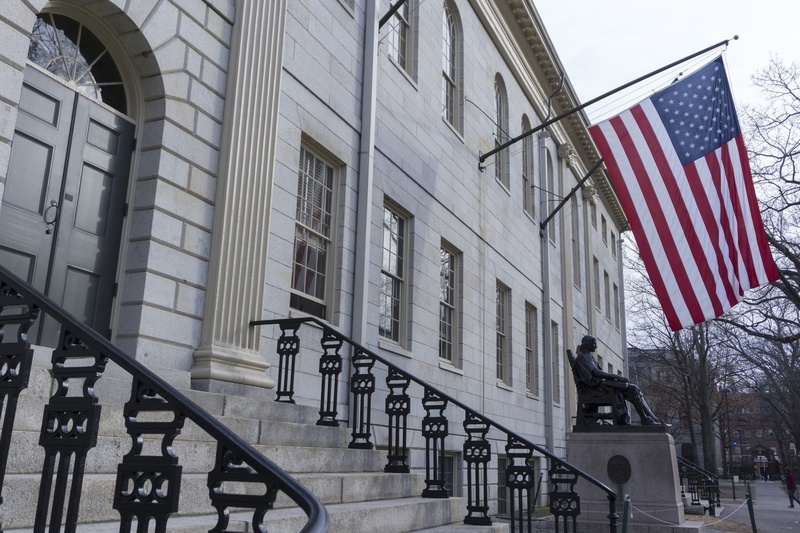 “There was no concession or change, Harvard moved to dismiss this case, and instead of responding, the Plaintiff unilaterally decided to voluntarily dismiss himself, rather than respond to our motion,” Dane wrote. Doe is still the defendant of a separate civil lawsuit. The woman who alleges Doe raped her — named Jane Roe in court documents — filed a civil personal injury suit against Doe in March 2018, according to the original November complaint. That lawsuit is currently ongoing.